One super fun thing about Fashionablyhigh.ca is their limited runs for styles of their teacups and stash jars. 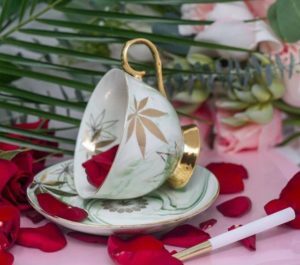 Their new Primavera Green Queen limited edition cannabis leaf teacup and saucer set, makes me want to throw on some Edith Piaf and invite some friends over for high tea with some lovely infused delicacies and just enjoy good conversation and the civilized life. Right now you can pre-order their Primavera Queen Green teacups, which aren’t available until February. How gorgeous are these? 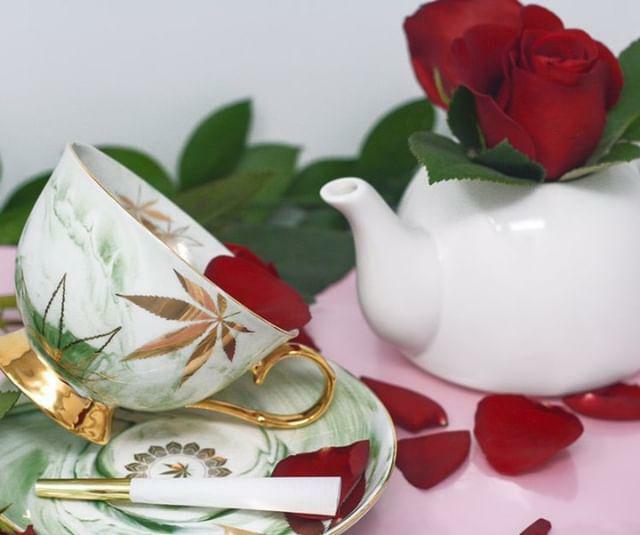 Considering Fashionablyhigh.ca is exploding in popularity, owning one of their limited edition cups might be a collectors item one day, so don’t miss out!